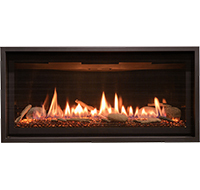 The WM-BI-50-FLUSHMNT features a sleek black glass surround and allows heat to be vented out the front of the unit, near the bottom. 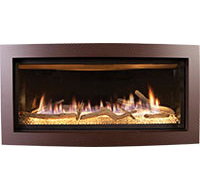 This electric fireplace unit comes standard with three colors of fire glass media and three LED ember log sets. 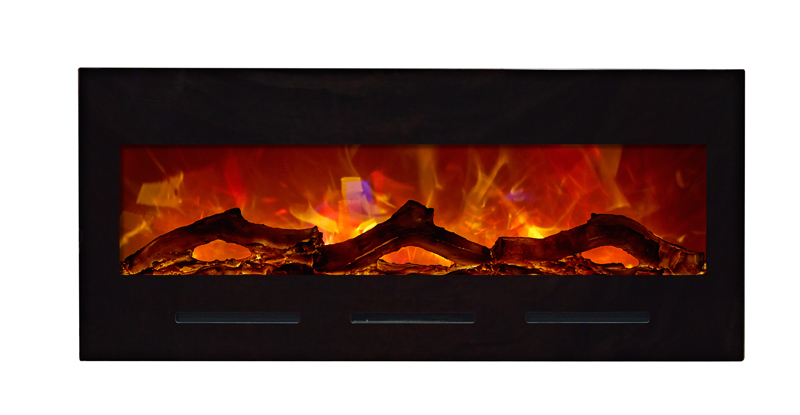 *NEW* LED ember lights in log set. 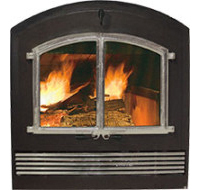 Heat is vented from the face of the Surround. Front and rear control for flame and heater included. Plug on the left side. Heat can operate without flame. 4 stage front & 4 stage internal back lighting. Three colours of fire glass media and an LED ember log set in the box.